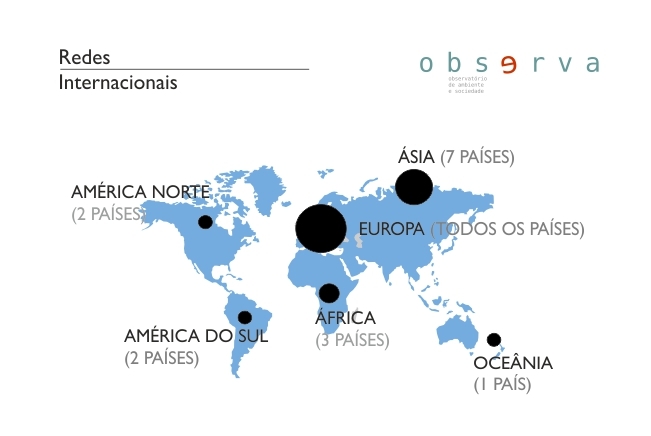 OBSERVA - Observatory of Environment and Society is a permanent research program of the Institute of Social Sciences of the University of Lisbon (ICS-UL). The observatory promotes and coordinates a set of projects focused on the social component of environmental issues. The mission of OBSERVA is the knowledge of the relations between society and environment. Under analysis are both the social phenomena resulting or influenced by environmental issues, and the way the environmental condition themselves are modified by the social phenomena. Encompasses a vast and complex field, this program is translated into projects that are organized according to several themes: participation and environmental citizenship, assessment of public policies, the roll of the media in the environment, environmental education and the study of representations, attitudes and behaviours before the environment. Together with those projects, the observatory makes national surveys and keeps a database of environmental subjects. 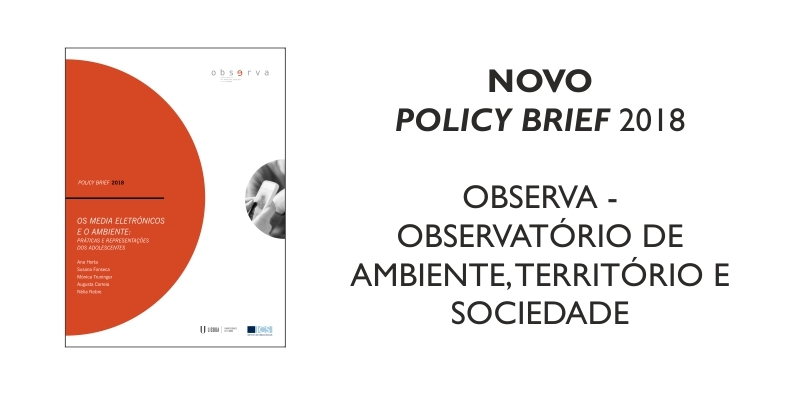 Also part of the activities of the observatory are the publication and presentation of studies and information that are relevant for policy-makers and the public in general.